How can I see total mileage, expenses, earnings by business? 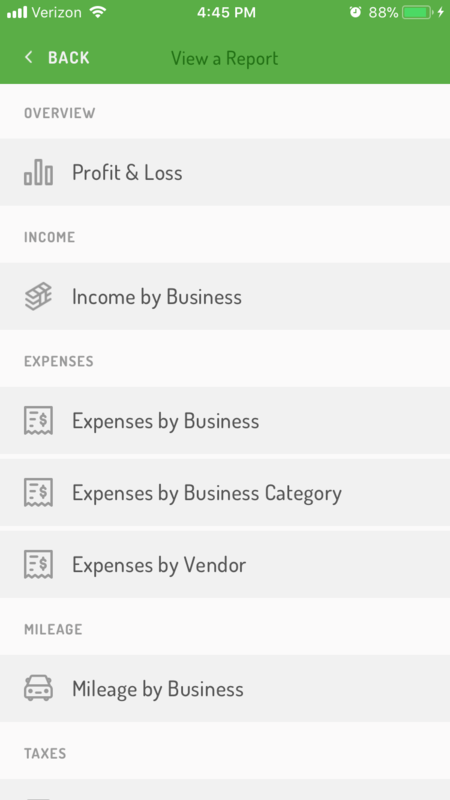 To quickly see your total income, expenses, or mileage per business, you can use the data in the Reports section. To do so, open the More menu (•••) and select Reports. Then you can select from the report options. 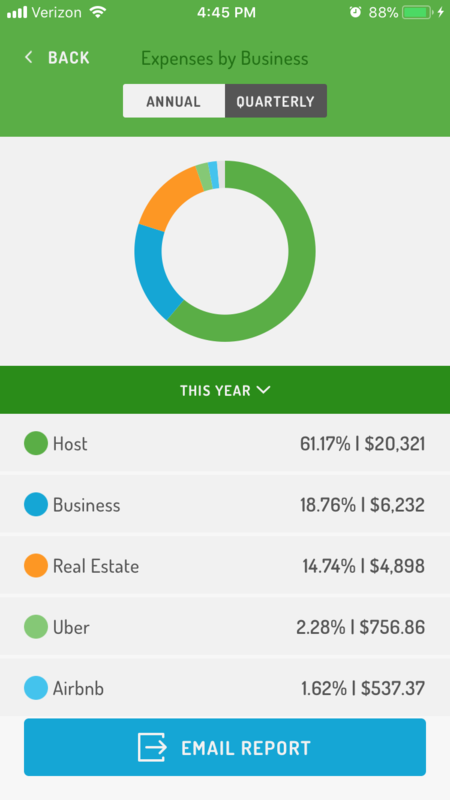 When you tap on the report, the main screen displays a chart showing amounts per business. You can also export the spreadsheet version of your report, which includes a summary tab with the totals. 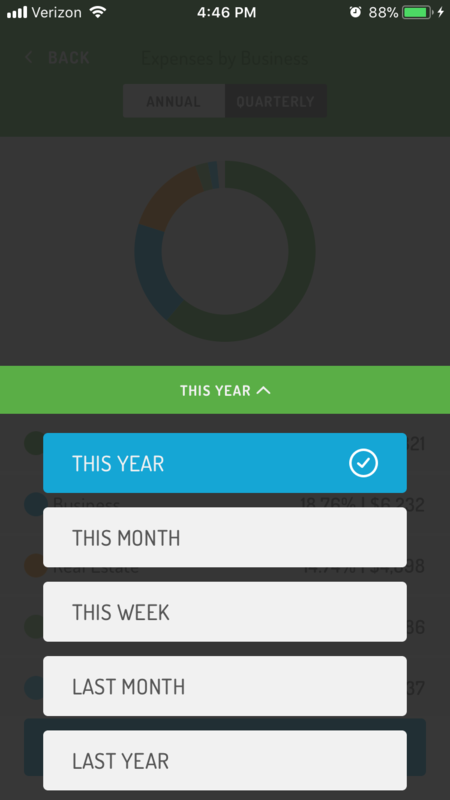 While the default view is year-to-date, you can change the view to another time period, like last year, by tapping the down arrow next to ‘This Year’. Alternatively, you can view data by quarter by selecting “Quarterly” at the top of the screen.